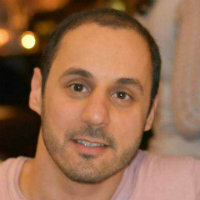 Dr. Keramati did his studies in Computer Engineering (BSc), Economics (MSc), and Computational Neuroscience (PhD). He then worked as a postdoctoral researcher with Prof. Peter Dayan at the Gatsby Computational Neuroscience Unit, UCL, followed by another postdoctoral position with Prof. Ray Dolan at theMax Planck Center for Computational Psychiatry, UCL. He Joined the Department of Psychology at City, University of London, in 2018. Keramati, M., Durand, A., Girardeau, P., Gutkin, B. and Ahmed, S.H. (2017). Cocaine addiction as a homeostatic reinforcement learning disorder. Psychological Review, 124(2), pp. 130–153. doi:10.1037/rev0000046 . Keramati, M., Smittenaar, P., Dolan, R.J. and Dayan, P. (2016). Adaptive integration of habits into depth-limited planning defines a habitual-goal–directed spectrum. Proceedings of the National Academy of Sciences, 113(45), pp. 12868–12873. doi:10.1073/pnas.1609094113 . Keramati, M. and Gutkin, B. (2014). Homeostatic reinforcement learning for integrating reward collection and physiological stability. Elife, 3. doi:10.7554/eLife.0481 . Keramati, M., Dezfouli, A. and Piray, P. (2011). Speed/accuracy trade-off between the habitual and the goal-directed processes. PLoS computational biology, 7(5). doi:10.1371/journal.pcbi.1002055 . Keramati, M., Dezfouli, A. and Piray, P. (2012). Understanding addiction as a pathological state of multiple decision making processes: a neurocomputational perspective. Computational neuroscience of drug addiction (pp. 205–233). Springer, New York, NY. Keramati, M. and Gutkin, B.S. (2011). A reinforcement learning theory for homeostatic regulation. Dezfuli, A.K., Keramati, M.M., Ekhtiari, H., Safaei, H. and Lucas, C. (2008). Understanding Addictive Behavior on the Iowa Gambling Task Using Reinforcement Learning Framework. Bitaghsir, A.A., Moghimi, A., Lesani, M., Keramati, M.M., Ahmadabadi, M.N. and Arabi, B.N. (2004). Successful cooperation between heterogeneous fuzzy Q-learning agents. IEEE. Hertz, U., Bahrami, B. and Keramati, M. (2018). Stochastic satisficing account of confidence in uncertain value-based decisions. PLOS ONE, 13(4). doi:10.1371/journal.pone.0195399 . Afsardeir, A. and Keramati, M. (2018). Behavioural signatures of backward planning in animals. European Journal of Neuroscience, 47(5), pp. 479–487. doi:10.1111/ejn.13851 . Lee, J.J. and Keramati, M. (2017). Flexibility to contingency changes distinguishes habitual and goal-directed strategies in humans. PLOS Computational Biology, 13(9). doi:10.1371/journal.pcbi.1005753 . Lak, A., Nomoto, K., Keramati, M., Sakagami, M. and Kepecs, A. (2017). Midbrain Dopamine Neurons Signal Belief in Choice Accuracy during a Perceptual Decision. Current Biology, 27(6), pp. 821–832. doi:10.1016/j.cub.2017.02.026 . Navajas, J., Hindocha, C., Foda, H., Keramati, M., Latham, P.E. and Bahrami, B. (2017). The idiosyncratic nature of confidence. Nature Human Behavior, 1, pp. 810–818. Keramati, M., Ahmed, S. and Gutkin, B. (2017). Misdeed of the need: towards computational accounts of transition to addiction. Current Opinion in Neurobiology, 46, pp. 142–153. Navajas, J., Panesar, H., Hertz, U., Keramati, M. and Bahrami, B. (2015). Tracking Perceptual Uncertainty in Rapid Serial Visual Presentations. Perception, 44, pp. 46–47. Keramati, M. and Gutkin, B. (2013). Imbalanced Decision Hierarchy in Addicts Emerging from Drug-Hijacked Dopamine Spiraling Circuit. PLoS ONE, 8(4). doi:10.1371/journal.pone.0061489 . Piray, P., Keramati, M.M., Dezfouli, A., Lucas, C. and Mokri, A. (2010). Individual differences in nucleus accumbens dopamine receptors predict development of addiction-like behavior: a computational approach. Neural computation, 22, pp. 2334–2368. KHODADADI, A., KERAMATI, M.M., DEZFOULI, A., SAFAIE, H. and EKHTIARI, H. (2010). Analysis of decision-making processes in drug-abusers before and after maintenance treatment with methadone. .
Dezfouli, A., Piray, P., Keramati, M.M., Ekhtiari, H., Lucas, C. and Mokri, A. (2009). A Neurocomputational Model for Cocaine Addiction. Neural Computation, 21(10), pp. 2869–2893. doi:10.1162/neco.2009.10-08-882 .